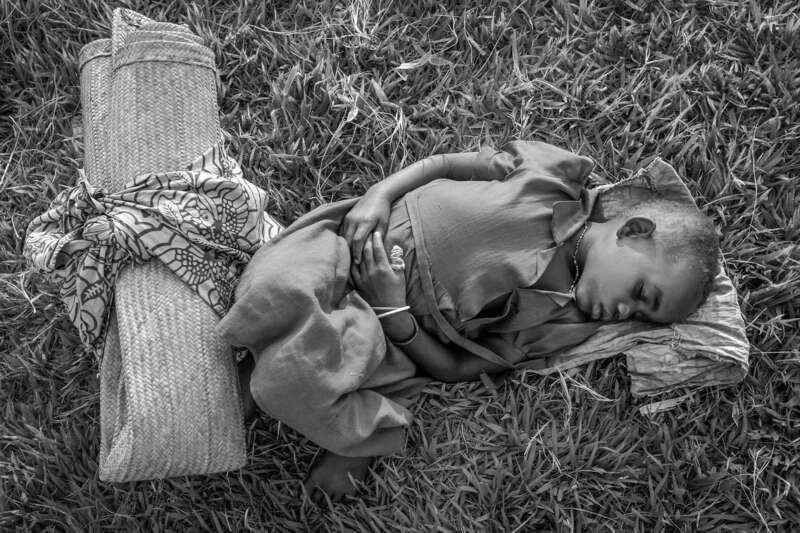 Internally displaced girl rests after a long journey at a Catholic church in the village of Gety, 60km southwest of Bunia, regional capital of Ituri region in eastern DR Congo July 11, 2006. Due to recent fighting between government forces and militia groups, tens of thousands have been displaced in the area. The historic presidential and parliamentary election is scheduled for July 30th.